As of this morning we are four weeks behind on this blog. Since we are in a high end private park offering excellent wifi (at least at their pavilion, though not near our actual bus) we are taking advantage with daily posts trying to catch up. 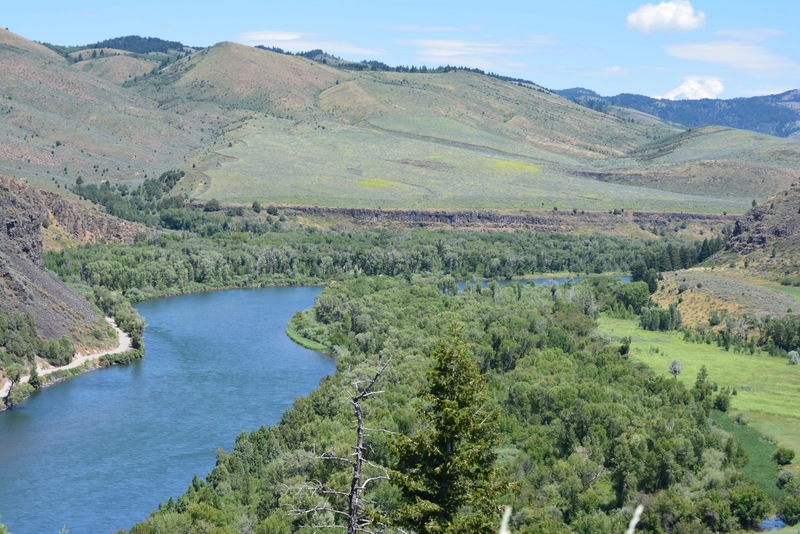 So… after departing Grand Teton National Park, we headed generally towards Zion National Park, but with a stop in Blackfoot, Idaho to get some preventative maintenance and adjustments done on our engine and drive train. Bill at Ace One Trucking had demonstrated competence and knowledge of vintage buses while rescuing us from the roadside catastrophe in Yellowstone. It is hard enough finding a reliable mechanic for any vehicle, but when it is a 52 year old diesel bus, the challenge is even greater, so when you find one you use him. Our plan was to stay one night in the Blackfoot Fairgrounds before showing up at Ace One Truck Repair, per prior agreement, Monday morning. 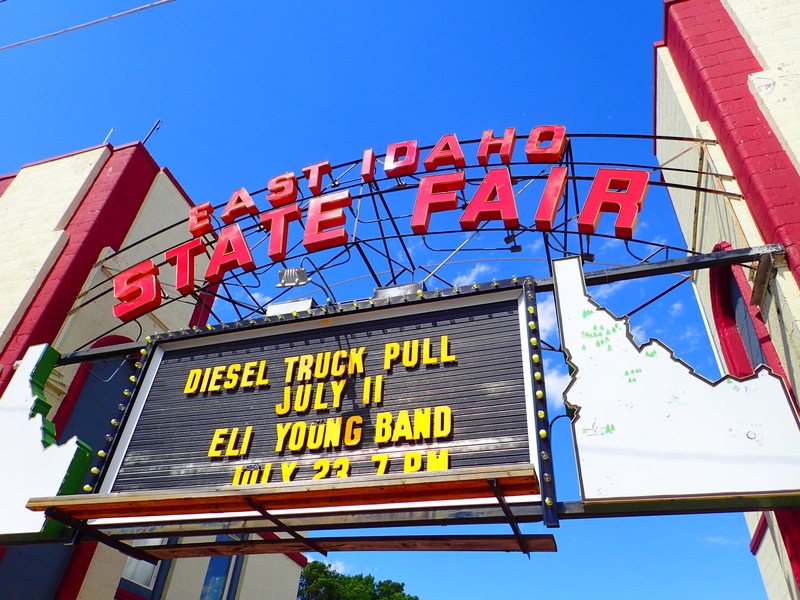 We ran into a glitch trying to find the fairground’s RV sites, initially pulling into and attempting to hook up to connections intended for mobile fair kiosks and food trucks. I spent nearly half an hour trying to manage the connections around the metal barriers surrounding the electrical and water hook ups before a local stranger offered that we were in the wrong spot. He provided directions and we drove around the back of the grounds to find the entirely separate RV area; grassy level sites with electrical, water, and a dump station for less than $20 a night. Blackfoot fairgrounds, but not the RV area. We made it to Bill’s shop late Monday morning. Unfortunately, like the other mobile mechanics we have dealt with, he prioritizes the customers broken down on the side of the road over the ones safely ensconced in his shop. This meant waiting until Wednesday to get any work done while he dealt with roadside emergencies. He compensated for the delay by putting us up in the nearby Super 8 motel for a couple of nights on his steeply discounted company account. Since we are struggling with TV withdrawal out here on the road, this tactic assuaged our irritation more than you might expect, and we used the hotel wifi to catch up on a number of HBO and other streaming shows. We also discovered a ludicrously affordable Mexican fast food place that puts Taco Bell to shame. 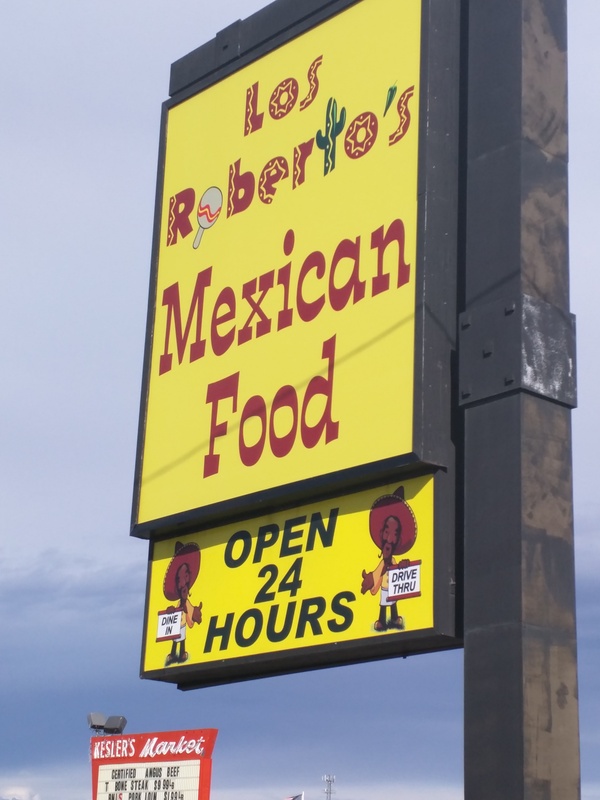 Los Roberto’s has our full endorsement. By Wednesday he was able to check out the linkages in our drive train, unfreeze the brake slack adjustment on one wheel, and adjust our badly out of wack brakes. The difference in braking is like night and day, giving us much more confidence for both city and down hill driving. We also took advantage of the stop to get an overdue lube, oil, filter change on the oil, gas, and transmission systems. Departing late that afternoon we headed towards Zion National Park, but the departure hour necessitated a halfway stop. Passport-America came through for us again, despite having done no prior research. 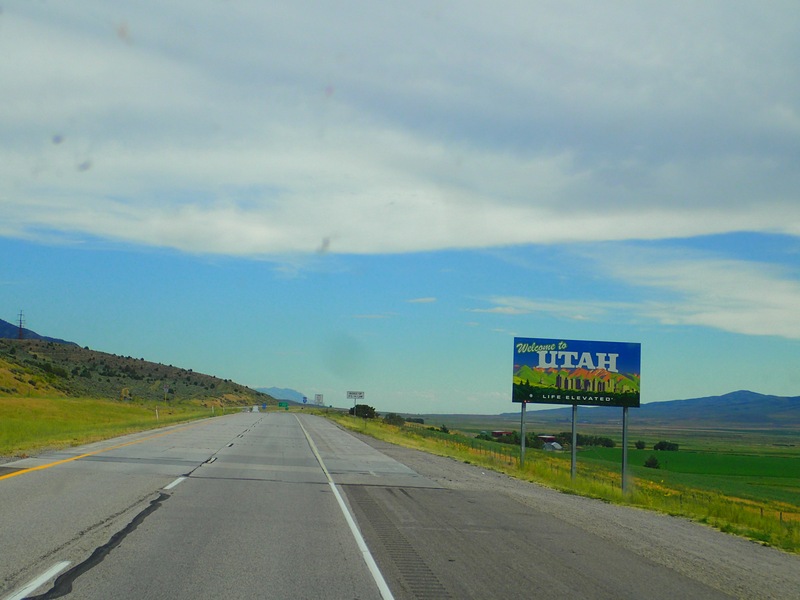 As we grew tired of driving, we pulled over in Wasatch, north of Salt Lake City, consulted the PA website for nearby parks offering their 50% discount, and cross referenced those campgrounds to the RV reviews sites (Campendium and RV Park Reviews). We ended up in Wasatch View Estates, a nice, clean, safe, well maintained RV and mobile home park with a helpful staff and full hook ups for $15 a night. Since this was one of the best values we have received this year, we took advantage and stayed an extra night to get our bus and ourselves in order after having spent three nights away from each. 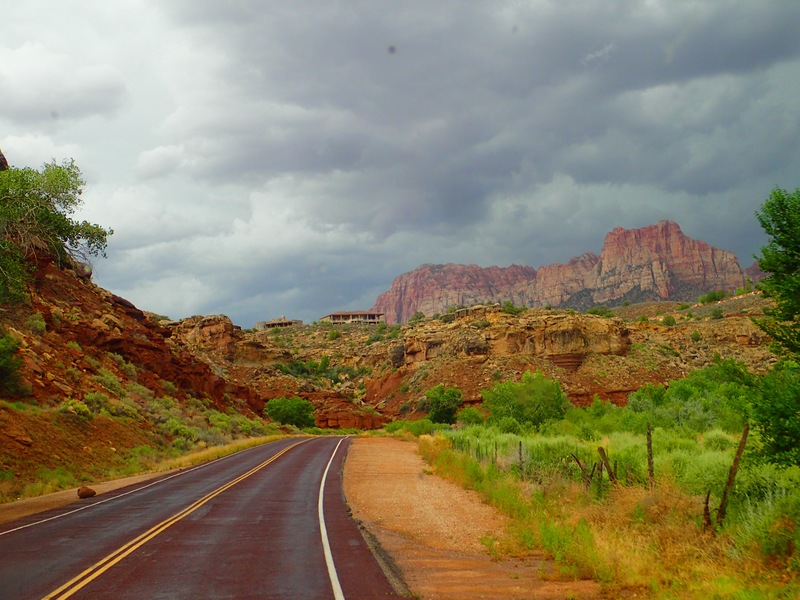 The next morning we headed towards Zion National Park, which will be the photo stuffed subject of our next post. There, now we are only thee weeks behind. Glad you were able to get your repairs done and back on the road without too much of a delay. Zion is such a beautiful park, we definitely have to return there. Thanks, but of course mechanical problems cropped up again on the way to our next park, but they were minor compared to the last major incident and quickly dealt with. More on that later.